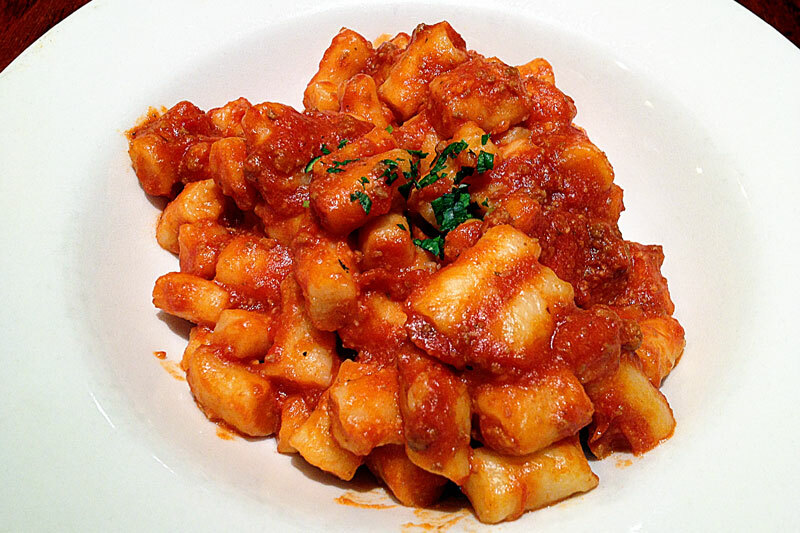 Another Italian restaurant, another disappointment. 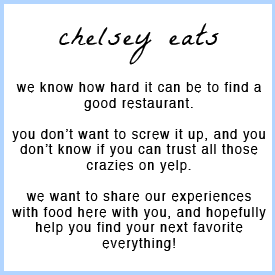 We originally planned on going to Siegfried's Deli one night in Salt Lake, but they were surprisingly closed so we had to walk around and find somewhere new. Michelangelo's was just right around the corner and had only one other table filled, so we decided to go in. We started out with some bread, and I was a little disappointed with this teeny bread bowl! 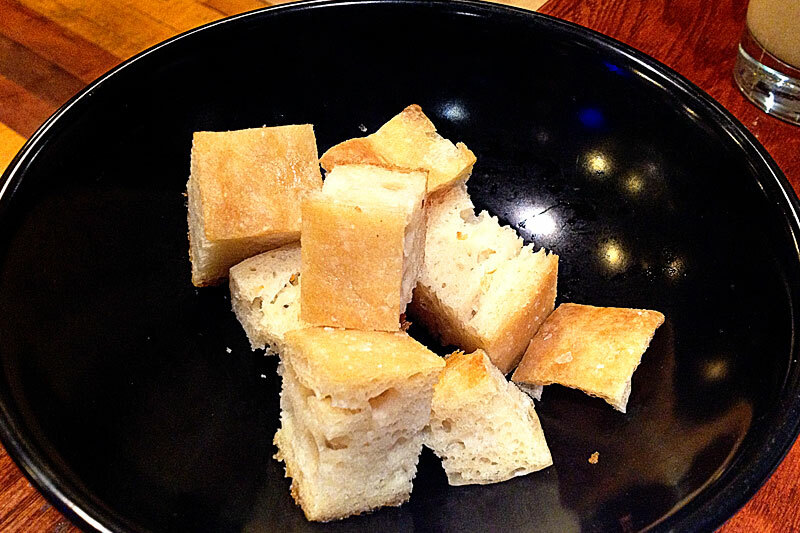 I mean, I shouldn't be eating that much bread before my meal anyway, but seven measly little cubes? And the bread was actually really good so we wanted more, and it just looked so silly in the huge black bowl it was served in. 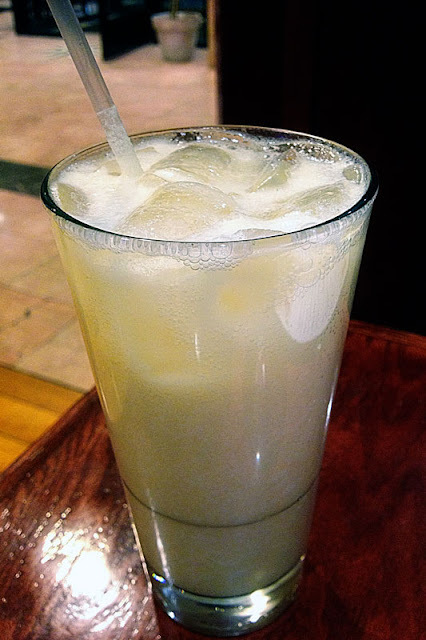 Owen ordered a lemon Italian soda which was not very sweet at all (super tart) and did not have much cream. Plus, no refills. Not impressed. And expensive. I wanted to substitute my soup or salad side option for one of the appetizers and just pay the difference, which the server said I could do. I chose to get the honeydew and prosciutto, because I love prosciutto and it sounded interesting. 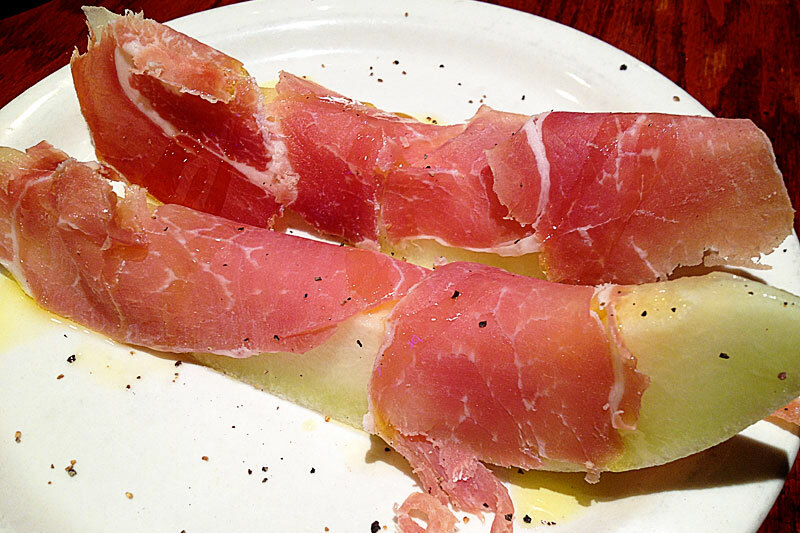 The melon was not very ripe, but the prosciutto was thinly sliced and flavorful. I think I enjoyed it more than I would a normal side, and it was a nice refreshing break from my heavy pasta. 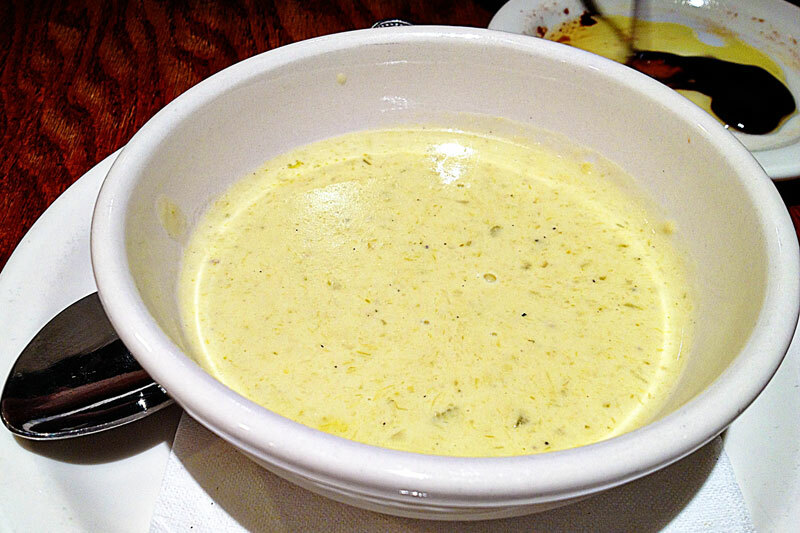 Owen chose the asparagus soup for his side, which was also hilariously small, and not all that wonderful. It was good and filling, but the asparagus flavor was a little wimpy and not exceptionally creamy. I probably would want to try another soup if I went there again. 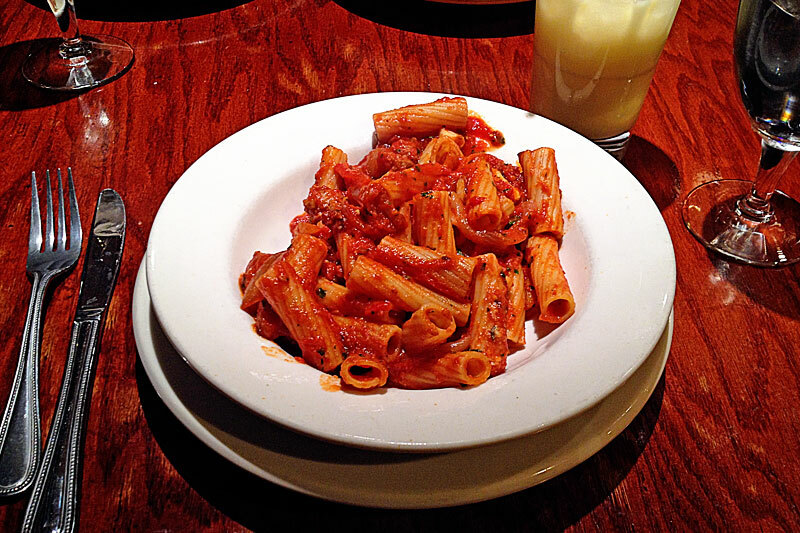 Owen's rigatoni was probably the best dish out of everything we ordered - it was coated in a slightly sweet red sauce with cooked onions and spicy sausage that was all very tasty. It was much less heavy than my dish, and had a nice blend of Italian spices. But once again, pasta is so easy to make! And this wasn't really anything very difficult at all.